“Mrs Sonia Gandhi is making steady progress towards recovery from her illness." Sonia Gandhi fell ill during Varanasi roadshow. 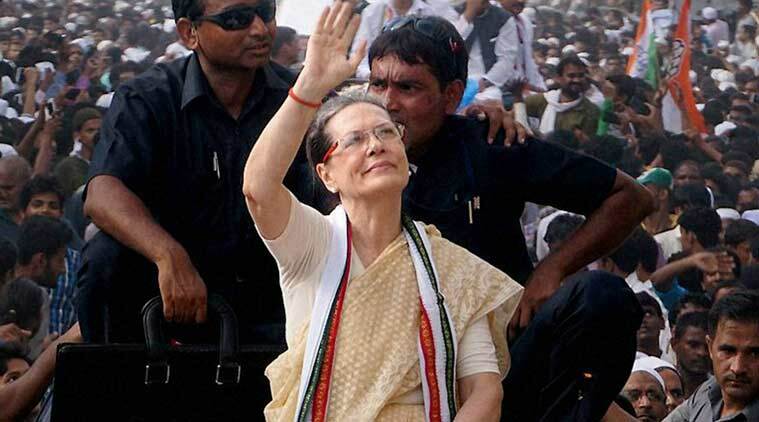 Congress president Sonia Gandhi has successfully undergone treatment for her shoulder injury, which she sustained during her roadshow in Varanasi, and is making “steady progress towards recovery”. According to Sir Ganga Ram Hospital, where she is admitted, all her health parameters are showing improvement and she will soon be shifted out of the intensive care unit. “Mrs Sonia Gandhi is making steady progress towards recovery from her illness. All her health parameters are showing improvement and she is soon going to be shifted out of the ICU,” said a health bulletin issued by Dr D S Rana, chairman (Board of Management), Sir Ganga Ram Hospital. “She has also successfully undergone treatment for a shoulder injury by a team of shoulder experts comprising Dr Sanjay Desai from Mumbai and Dr Prateek Gupta from Sir Ganga Ram Hospital. She is recovering well,” the bulletin said.